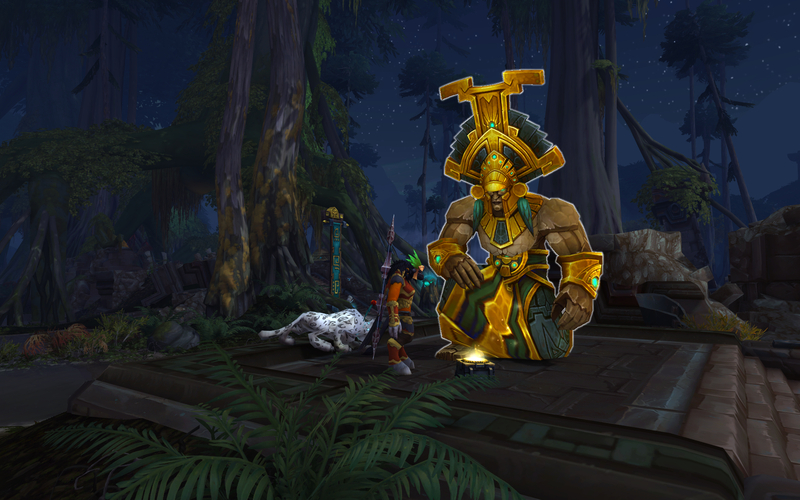 I finally finished off Nazmir, enjoying it more as the storylines all wrapped up – helps having the end in sight no doubt. Surprised this construct took me seriously with my headgear. His is way more impressive. 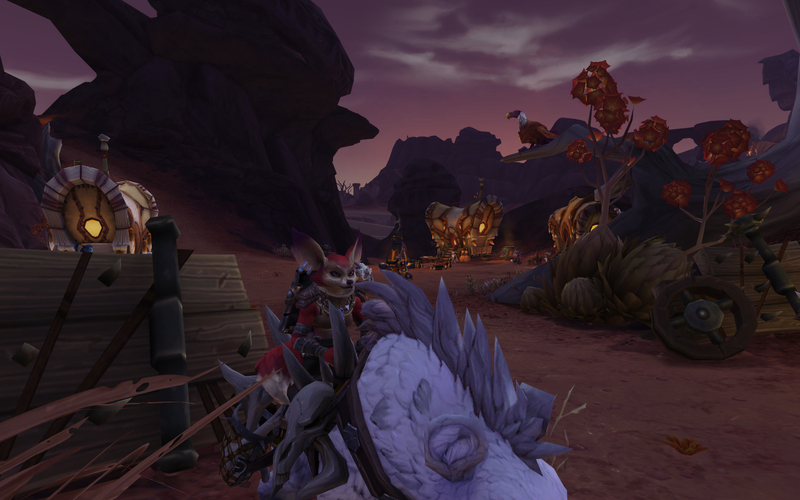 They’re called Vulpera, and they’re the best thing in WoW since the Highmountain Tauren. If this had have been the first zone I played, I think my entire attitude to BfA would have been different. Armed foxes! Armed foxes fighting snake people! 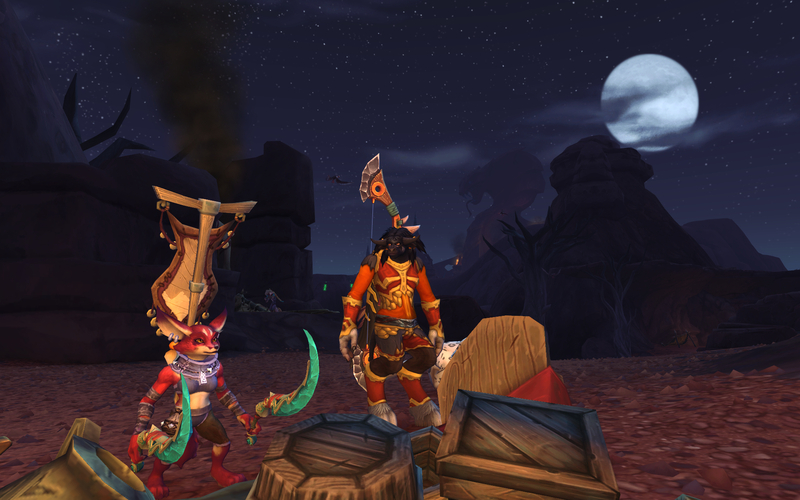 As many have said, if these guys aren’t the next Horde allied race then Blizzard are mad. I think it would even get Bhagpuss to stump up for a sub, given his #1 favourite race ever were the Vanguard Raki (‘Stocky foxes with a great backstory, characterful animations and the happiest faces’). I can’t wait to play one. Please Blizzard. 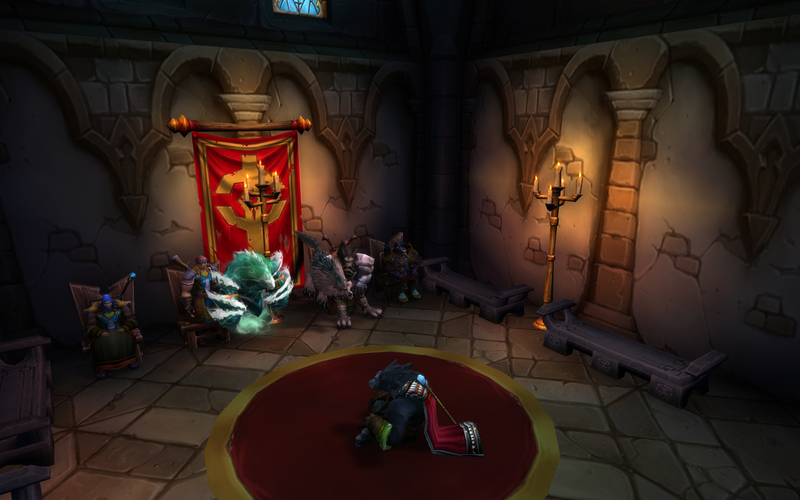 On the Alliance side, we ventured into Scarlet Halls last week, which is another great dungeon. It’s the first one that introduces more complex mechanics to the bosses, which meant we dutifully wiped a few times due to only being practiced in tank and spank. Suddenly having to deal with damage spikes and insta-kill mechanics was a whole new thing, but all the more fun as a result. 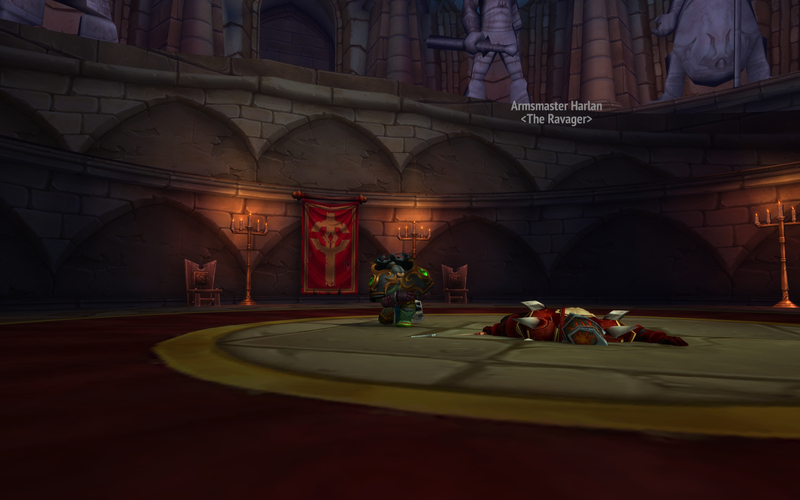 The second run through had a memorable moment, when everyone wiped on the boss’s killer whirlwind mechanic except me. This left the boss on about 33% health, so I started popping all my defensive cooldowns, healing almost constantly, and doing very tiny chunks of damage to the boss and his adds. Ironically his mechanic (where he whirls off on his own for ~20 seconds) made it possible, as I could heal almost to full each time before he returned. It’s my first experience of how a Paladin can just keep going and going whilst chipping away at the enemy and eventually wearing them down via sheer persistence. Otherwise known as boring them to death! 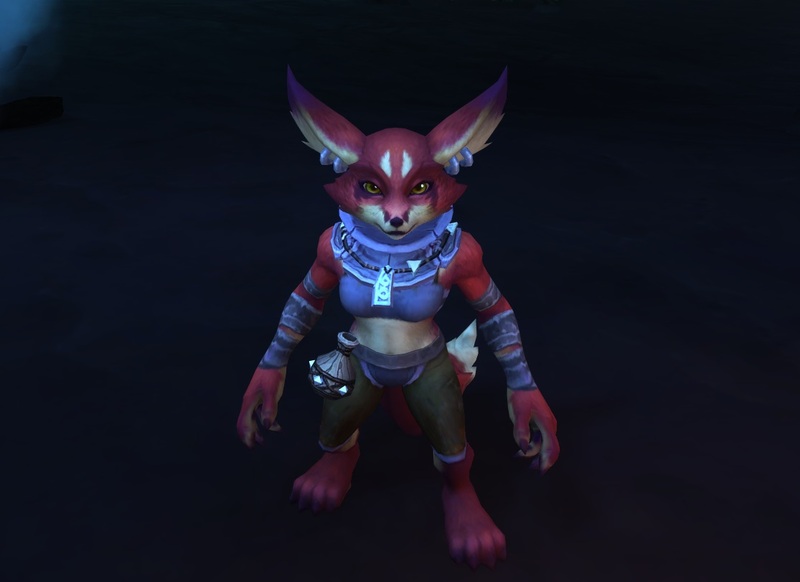 If Blizzard ever made those foxes into a playable race I’d be all over their starting area and quests. Probably get those for free, though, with the eternal sub-20 free trial. If it was a subscription-only race then, yes, I would sub for a month just to try them. That one dual-wielding scimitars looks amazing, too.